I’m a fan of Nirvana. I mean I’m a fan of the band rather than a fan of the concept. Although, hey, what’s not to like about the idea of being no longer subject to torture over the fires of greed, hatred and delusion? Free from all suffering – yes, that sounds pretty good. But if I really wanted to free of everything that makes us human then I probably wouldn’t dig bands like Nirvana any more, and that would be bad. Then I wouldn’t be me any more. That man with the computer was lurking by the corner of our porch, holding it up and aiming some kind of camera at the eaves. He steered a pair of laser beams from one end to the other. I figured I’d let him do what he was doing if I didn’t see any harm. “Smooth the way for what?” I asked. I knew what was coming next, what was always coming: talk of imminent domain, of making way for progress. 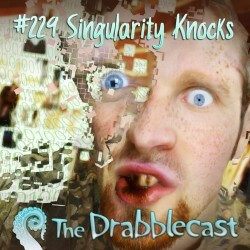 This episode of the Drabblecast explores science of the future. 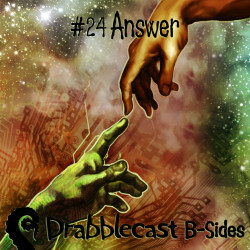 In the drabble, a lab rat learns to speak but still cannot talk the scientists studying him out of his eventual dissection despite their similarities. In the feature, government agents try to convince a family of aging farmers to join the rest of humanity by being uploaded into the singularity, a virtual world where everyone can lead any life they can dream up. No one can be left behind.. 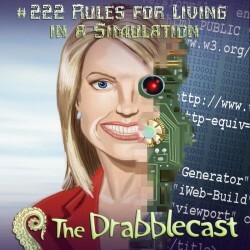 Norm begins this episode of the Drabblecast with an introduction to the new and improved Drabblecast.org, and thanks the many contributors who made this possible. 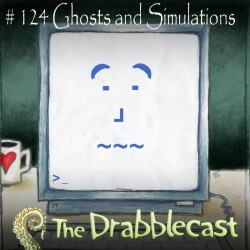 The Drabble by John Murphy remembers a simpler time in video games, though a time not free of consequence. The feature by Aubrey Hirsch provides, as described in the title, a didactic set of rules for living in a simulation (a universe constructed especially for us). Episode Sponsor: You Shall Never Know Security by J.R. Hamantaschen. “This is the one I wanted to show you,” Rando said to his blind date, Maya, who had an artificial eye that drooped slightly, but was otherwise very cute in a chipmunk sort of way. 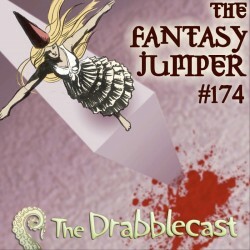 The Drabblecast brings you “Go Beep” by Aliya Whiteley. 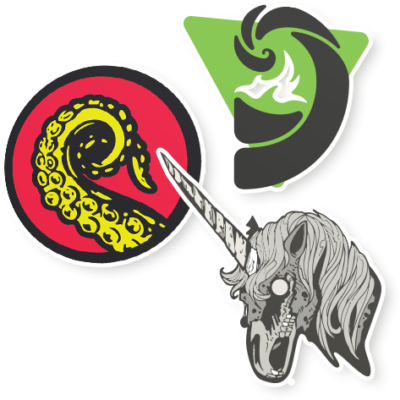 Aliya Whiteley is a writer of dark tales in science fiction and fantasy, and was the winner of the Drabblecast People’s Choice award for Jelly Park! She has also been shortlisted for the Shirley Jackson, BSFA, and British Fantasy Society Awards.